The Jurassic Park Slot game, which is based on the 1993 blockbuster Steven Spielberg movie, falls into the 5 x 3 Reel 243 ways to win category. The sound effects and graphics create a real sense of escapism. Ian Malcolm played by Jeff Goldblum, Alan Grant, John Hammond and Ellie Sattler are all characters that feature in the slot game. As you get to the game, you’ll hear the sound of birds, of a jungle scene and of tranquility. The Jurassic Park slot game is here to bring you that aura and that excitement. The slots game features the realistic dinosaurs as well as the characters from the original movies. Using the latest 3D technology and cutting edge technology, Jurassic Park world is complete with life like dinosaurs, superb graphics and the movie soundtrack. All of the popular characters from the original movies make an appearance dinosaur experts (palaeontologists) Dr. Alan Grant, Dr. Ian Malcolm, Dr. Ellie Sattler, the CEO of Jurassic Park John Hammond and of course many of the dinosaurs including Tyrannosaurus Rex, Velociraptor, Brachiosaurus and Triceratops. If you hit three or more of the same character, a highlight reel of that character from the original movie will play. This feature will delight both fans of the movie as well as all other players. The Jurassic Park logo is the wild symbol and it can stand in for all of the other symbols to create winning combinations. The wild symbol appears stacked on all of the reels to create even more winning combinations and big, multi-way wins. At any time during your game session, the T-Rex alert will be triggered randomly. This feature will add 35 extra wild symbols to the reels and it will remain active for the next six paid spins that you play. Fans of Jurassic park will remember that the mosquito in the Amber gave life to all the dinosaurs in the park. The Amber acts as the scatter symbol in the slots game and two or more of the scatter symbols will result in a payout. Three or more scatters will automatically award you with free spins. The maximum jackpot on offer matches the size of the monster Dinosaurs you will find in the game. At 1,900,000 coins you definitely have an opportunity to hit the big time. The scatter symbol is represented as a mosquito inside of oozing trees sap. The Wild symbol is represented by the Jurassic Park Logo with a Dinosaur inside. There are 5 Free spin modes which can be activated including; Tyrannosaurus, Velociraptor, Brachiosaurus, Triceratops (Running Wilds), and Dilophosaurus (Winning wilds). You will then be able to choose the feature after playing the Free Spins feature 25 times. This is represented on a progress bar for easy reference. Free Spins and T-Rex alert mode cannot be triggered simultaneously. The T-Rex could appear during the Feature and turn up to 5 Reel Wild. Offering 12 Free Spins. These are stacked in Free Spins. There is also a T-Rex alert where your chance to win is increased with 35 extra wilds. Active for 6 Paid for spins. The T-Rex may appear on screen turning the whole screen red, as in alert mode and then adding 35 extra wild symbols for the subsequent spin. This of course greatly increases the player’s chance of winning and he benefits from a fantastic spin that can earn him lots of winnings. Each and every spin of the reels is accompanied by thematic music that keeps players enthralled and involved in the game. The different dinosaur characters coupled with the excellently graphic scenery and music lends itself to the setting very well and increases the enjoyment factor for each player. 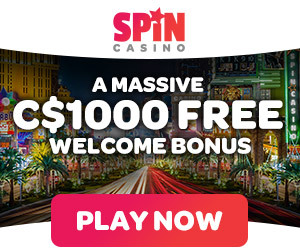 Jurassic Park Slots is one of the online casino games Canadians love because it is not a standard game, there are no set paylines and there is a choice of different bonus free spins with many different features that keep the players involved and active in the game while also giving them many winning opportunities.